With its tough durability, Baby DK will wear, wash and last for many years as each piece is passed down from sibling to sibling. Knit or crochet blankets, sweaters, baby hats, accessories and even nursery items like stuffed animals or decorative pillows. 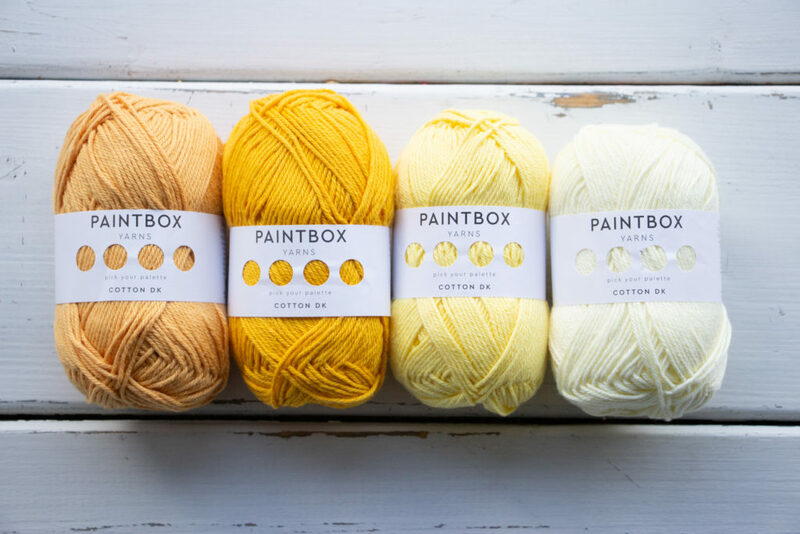 Enter for a chance to win 4 skeins of Paintbox Yarns in Melon Sorbet, Mustard Yellow, Daffodil Yellow and Banana Cream. The deadline to enter is February 17th, 2019 at 11:59:59 PM Eastern Time.